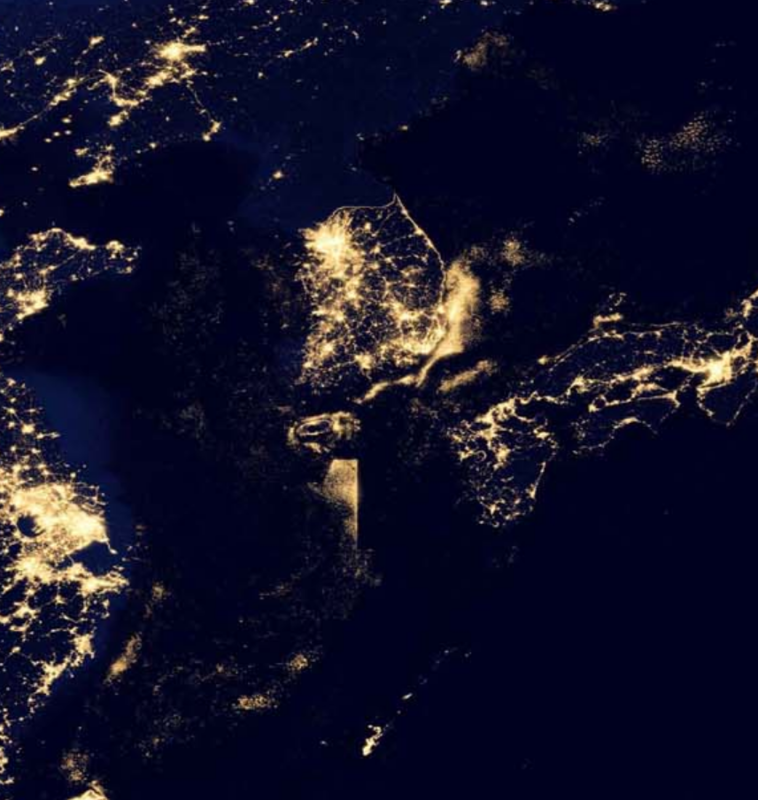 You can see the borders of North Korea with China and South Korea at night from the ISS since unlike their neighbours, they have almost no light. That got me thinking, which other country borders (of directly adjacent countries with no large bodies of water in between) are visible from space? 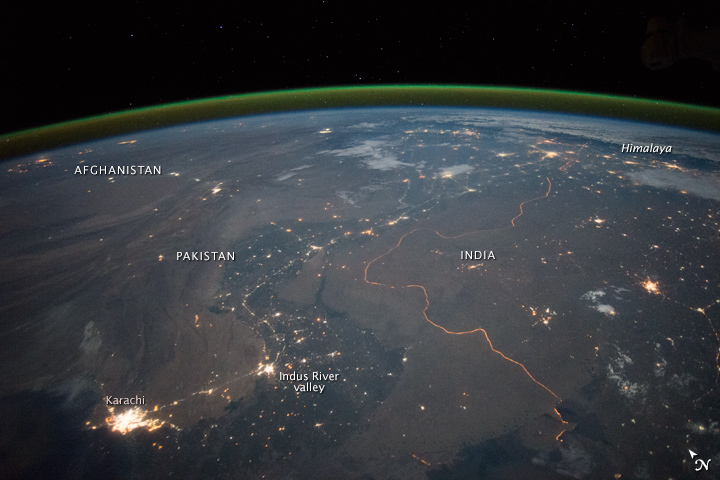 The border between India and Pakistan is one of the most heavily guarded and well-lit borders in the world, so much so that it can be seen from space at night. It covers an immense distance from the Arabian Sea to the Himalayan foothills. Another interesting historical divide that can be seen even today is the effect of the Berlin wall. Despite the reunification, the remnants can be still seen today. 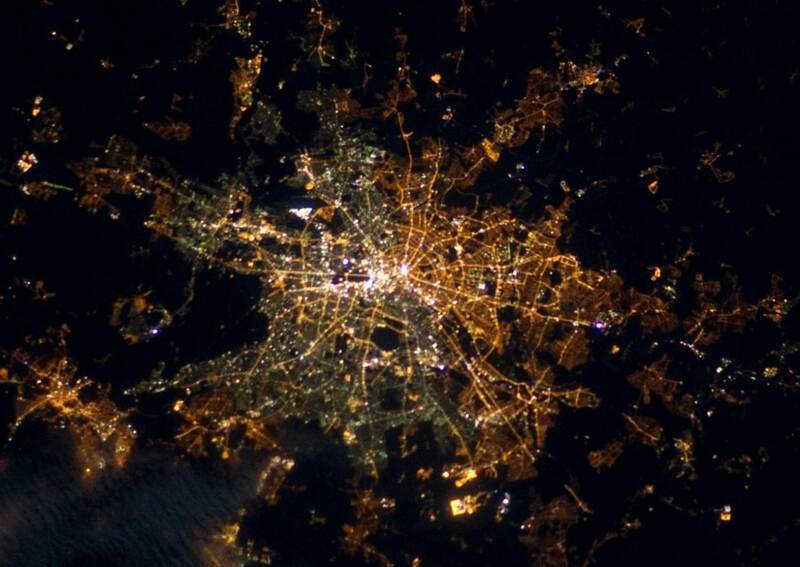 Berlin at Night by ESA astronaut André Kuipers. A zoomed-in version of the original image from the Washington Post is shown below. Thanks to @winny for pointing out the reason for the difference in the hues. 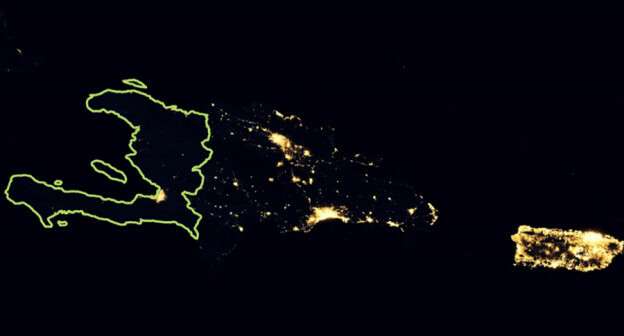 The area highlighted on the left is Haiti, of which only Port Au Prince can be seen at night. 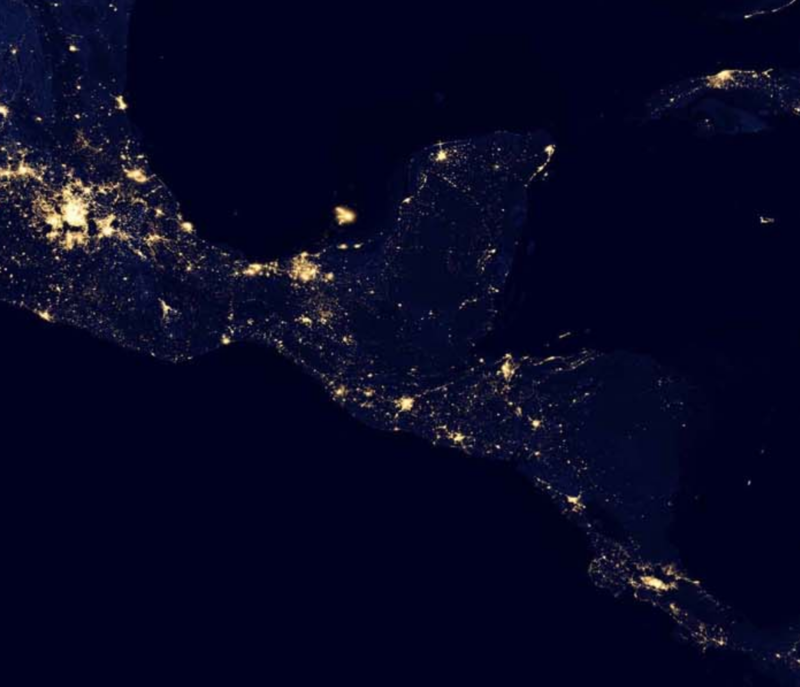 The bright island on the right is Puerto Rico. You did not specify if you are thinking of any border or only an anthropogenic one. While LED lighting is taking over (and is likely CW), plenty of outdoor street lights in cities and highways still use high pressure mercury and sodium discharge lamps running on mains AC voltage. They don't rectify and so will produce two pulses per cycle of AC. 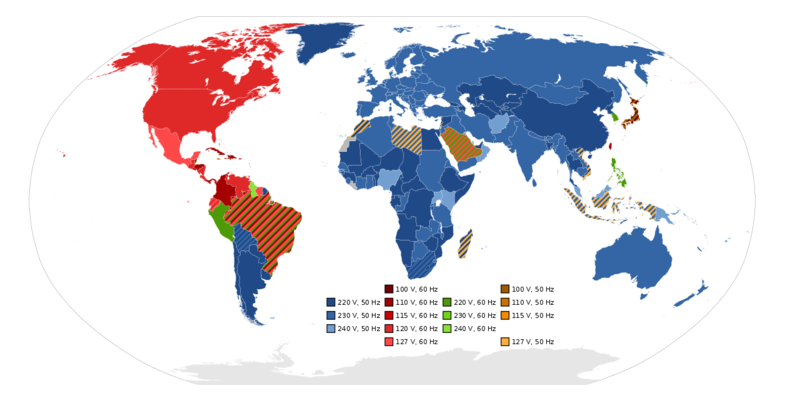 Therefore any technique that can chop up time, a rolling shutter effect or simple aliasing in time from a video device, or even a spinning piece of paper with slits on the end of a space-rated paperclip would be able to distinguish a 50Hz country from a 60Hz country. For even more fun, just have a look within Japan, Tokyo prefecture and north is 50 Hz, and south of it is 60 Hz! Most of the answers were concerning night time pictures. Let me add some nice example of day time pictures, of Israel. 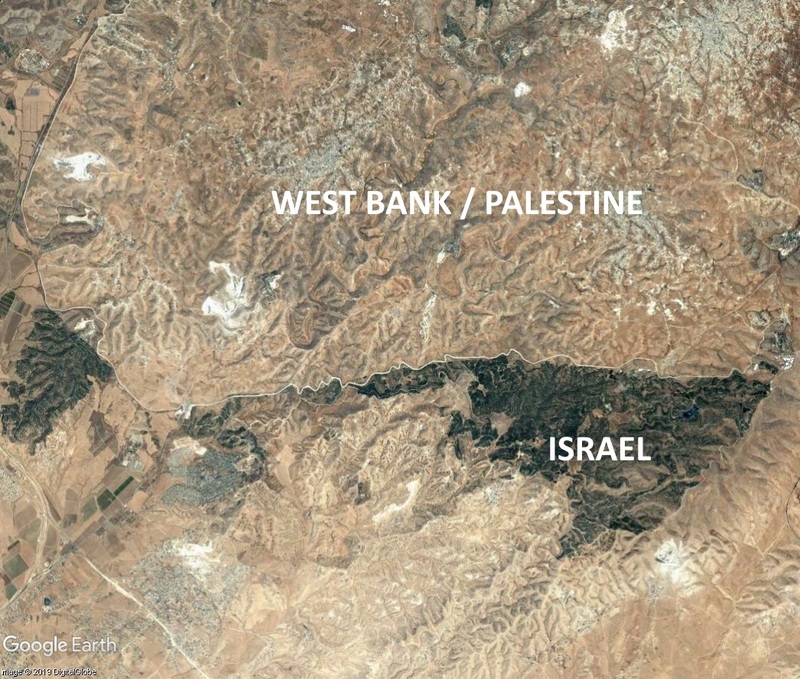 Plenty of grazing animals on the Egyptian side of the border, but none on the Israeli side. 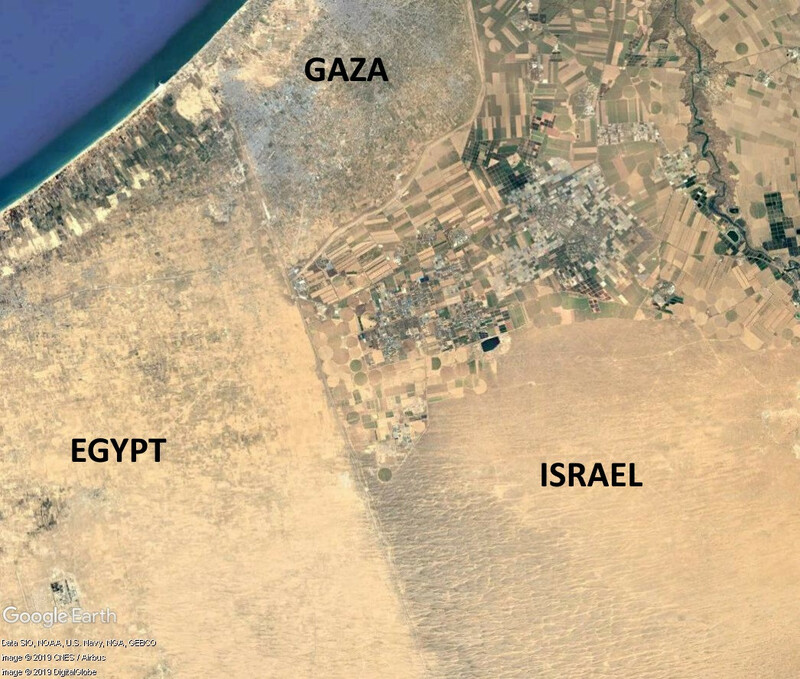 Gaza is distinct from both, evident by the densely populated areas and small subdivisions of farms. 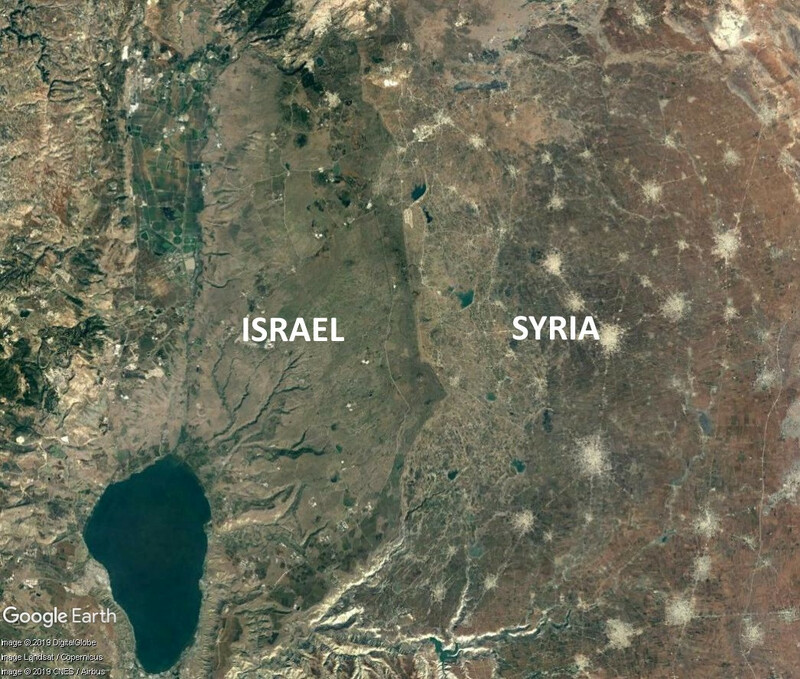 Compare to the larger farms in Israel, and no farms in Egypt (except along the coast). The Israeli Golan Heights are pretty much empty and most of the area is grassland. On the other hand, the Syrian side of the border has many small villages and roads, and grassland is affected by grazing. The Yatir Forest in Israel is an artificial planted forest. Naturally, it stops at the border. A part of the border between Austria, Switzerland and Germany may be seen from orbit. For the biggest part of the Lake Constance, the Upper Lake, the location of the borders within the water is not defined. Therefore the lake itself is the border, a very wide one, easily to be seen from orbit at day and night. Within a smaller part, the Lower Lake, the border within the water is defined. See Wikipedia for International borders of Lake Constance or this chart of the Bodensee. Another part of the border between France and Germany is the river Rhein between the towns Basel and Karlsruhe, see this chart. 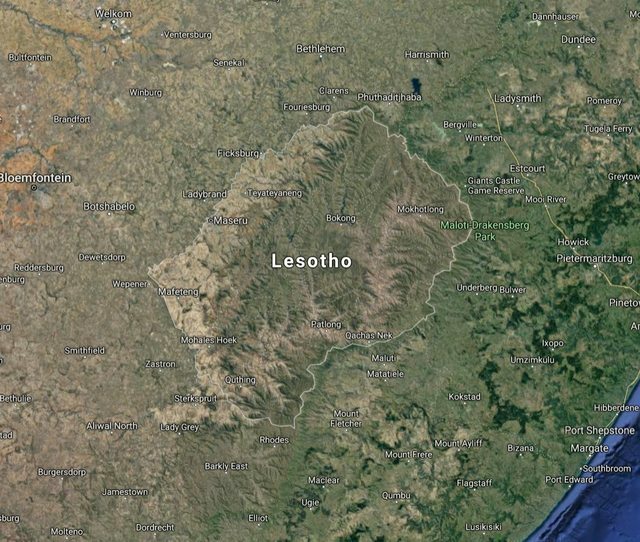 The outline of Lesotho can be seen by the distinct mountain texture (80% of the country being above 1800 m) setting it apart from the surrounding South Africa. Belgium has road lighting on almost all of its roads. The neighboring countries don't. 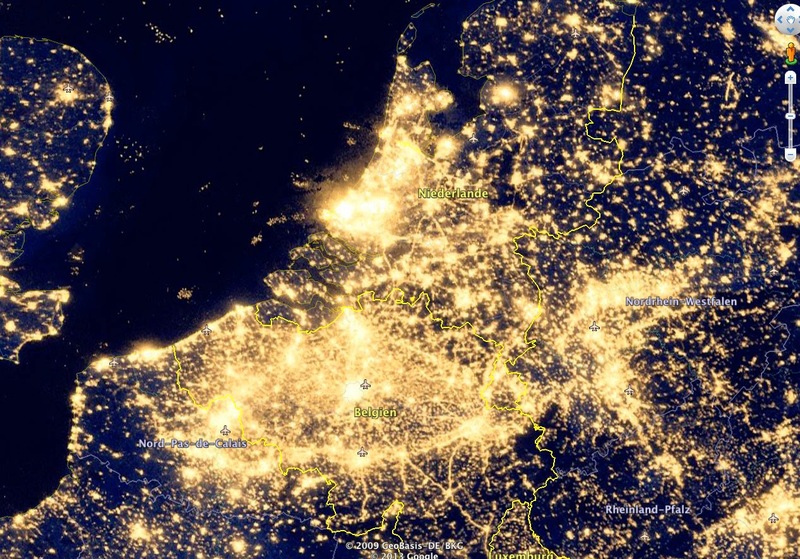 The southern Netherlands, the Ruhrgebiet and the Lille area are densely populated so the distinction is less clear here. 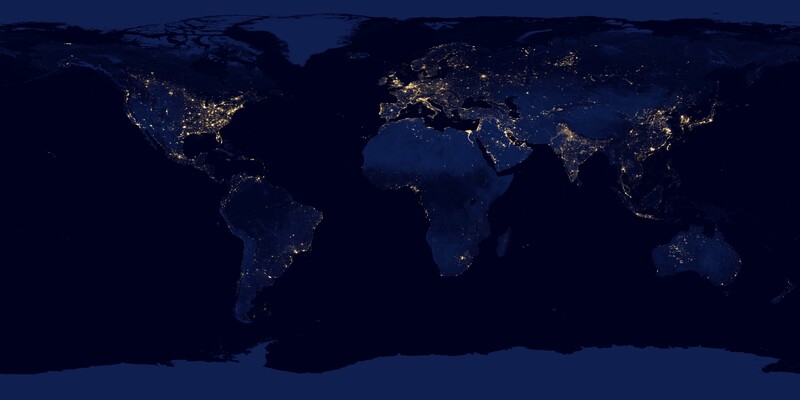 Looking at this high resolution image of the Earth at night, here are a few borders I could find. US/ Mexico can be partially seen, particularly in the Western US. 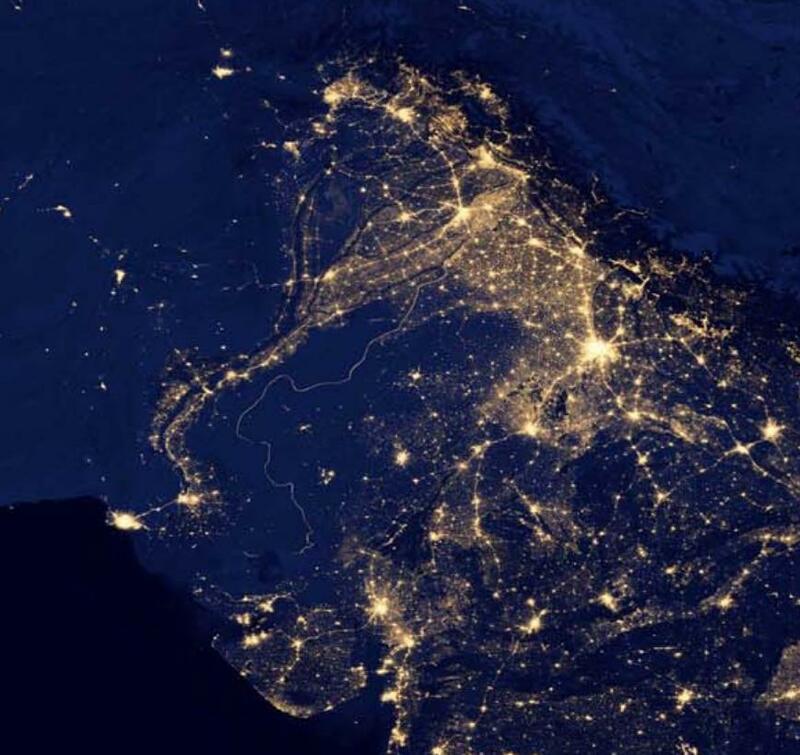 India/ Pakistan is VERY noticeable. North/ South Korea is also VERY obvious. 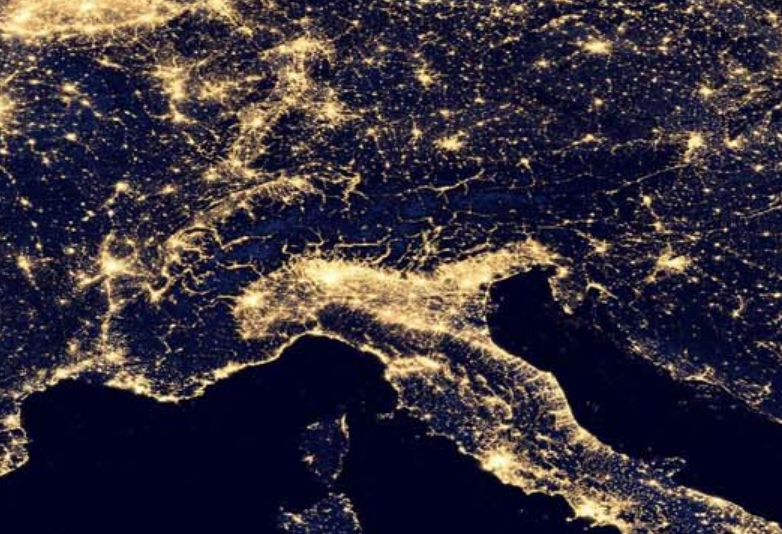 Italy seems pretty obvious, but it is probably because the northern end of the country isn't very habitable. Not the answer you're looking for? Browse other questions tagged iss earth international-politics or ask your own question.